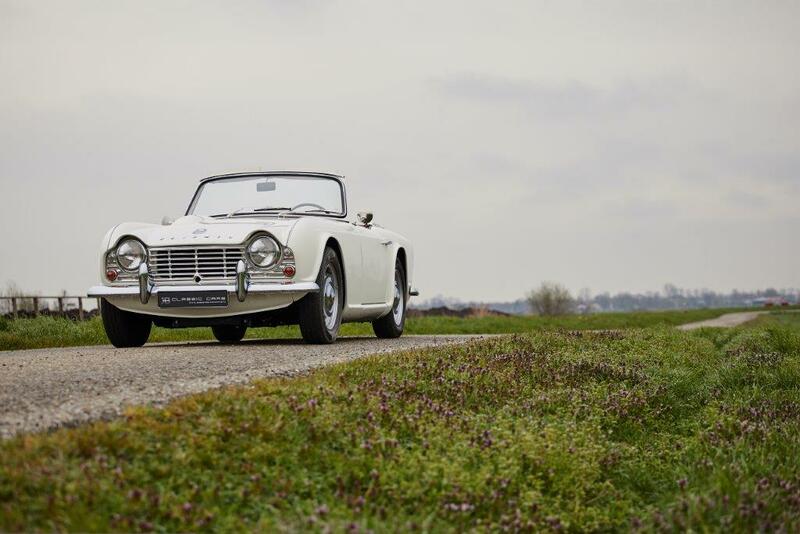 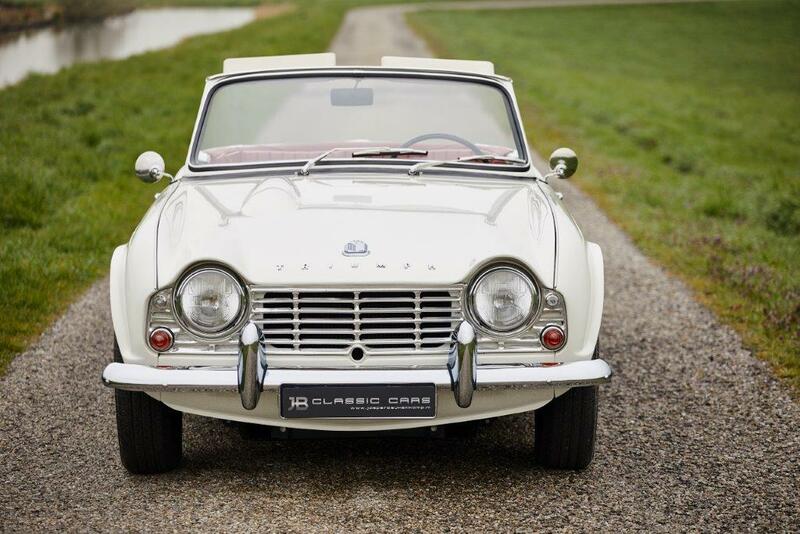 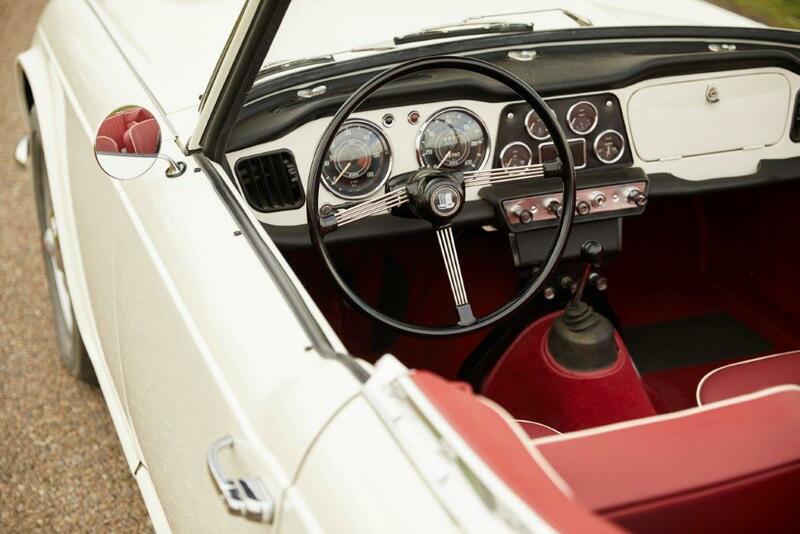 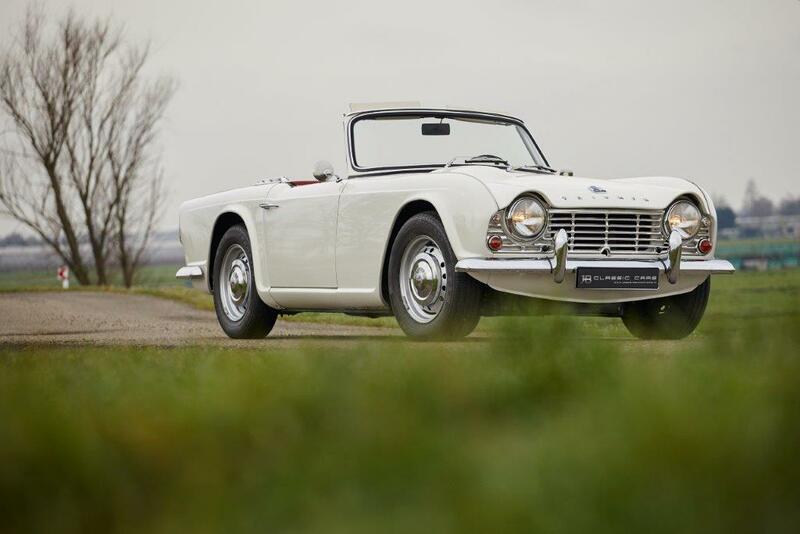 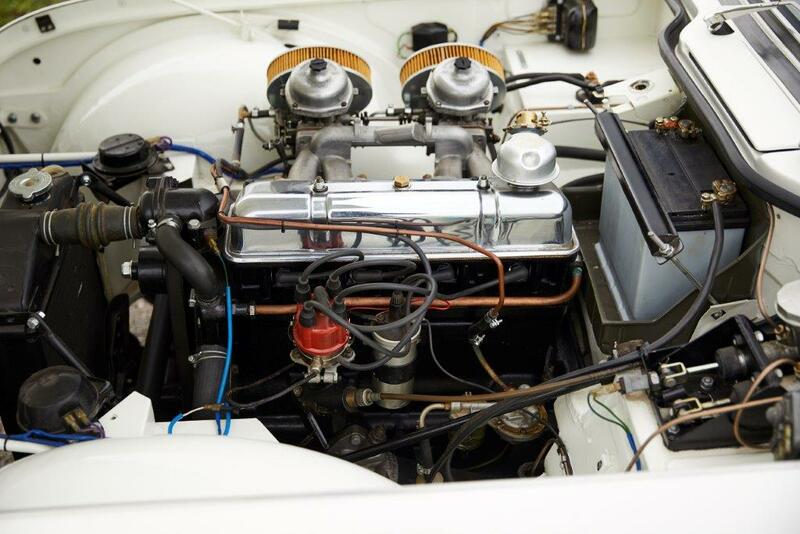 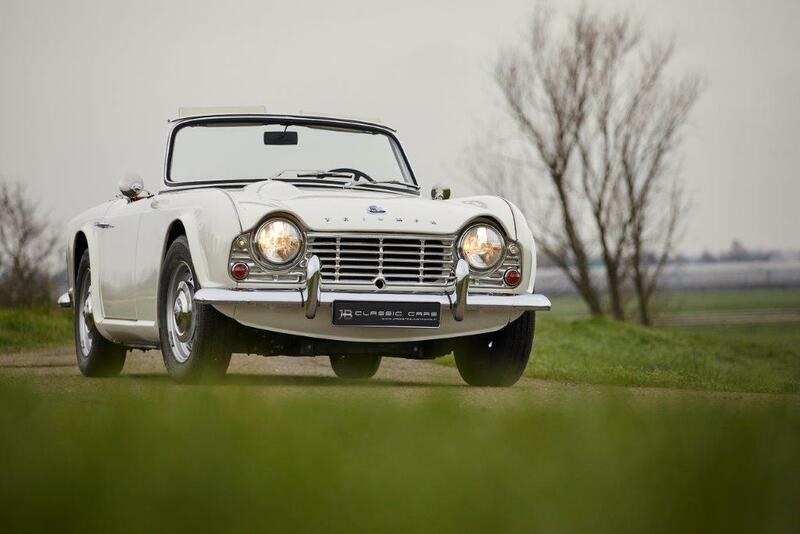 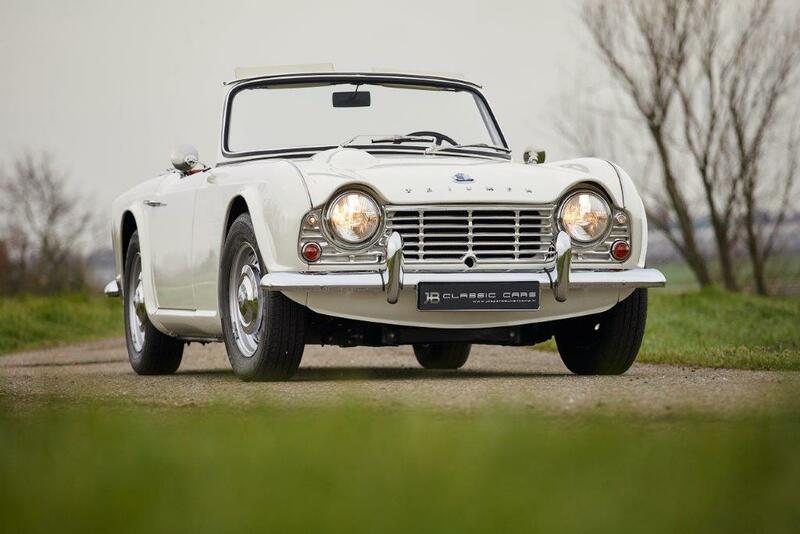 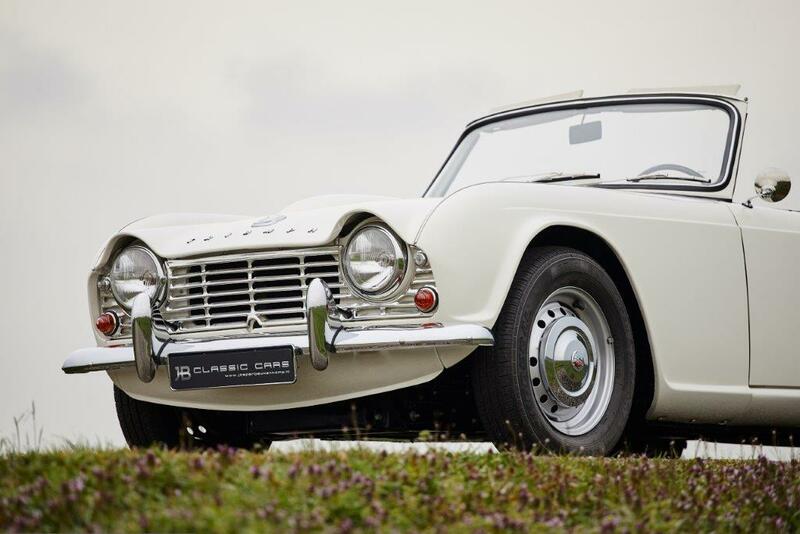 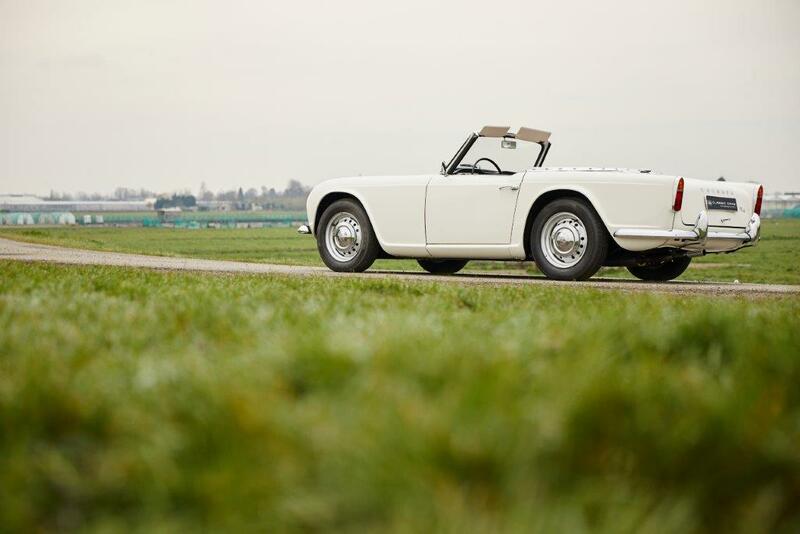 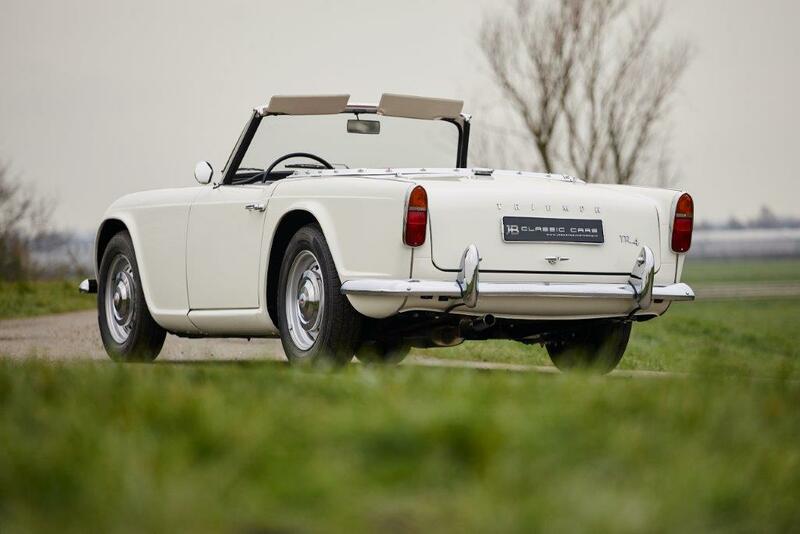 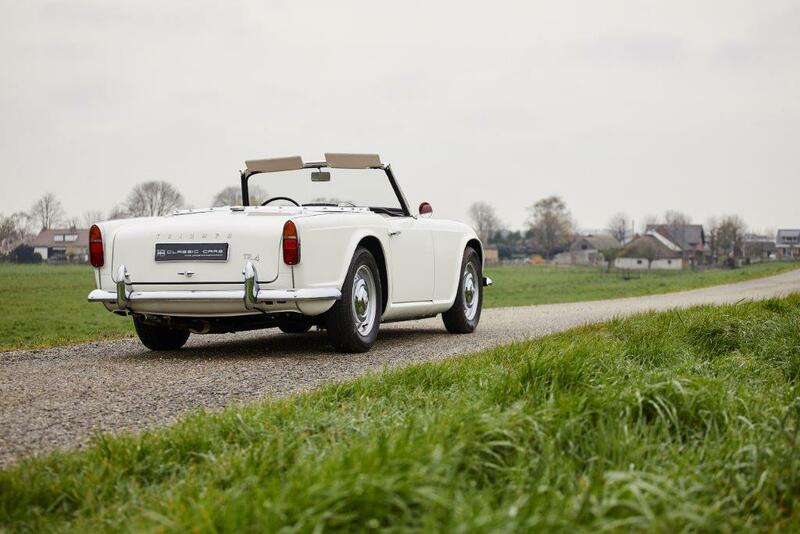 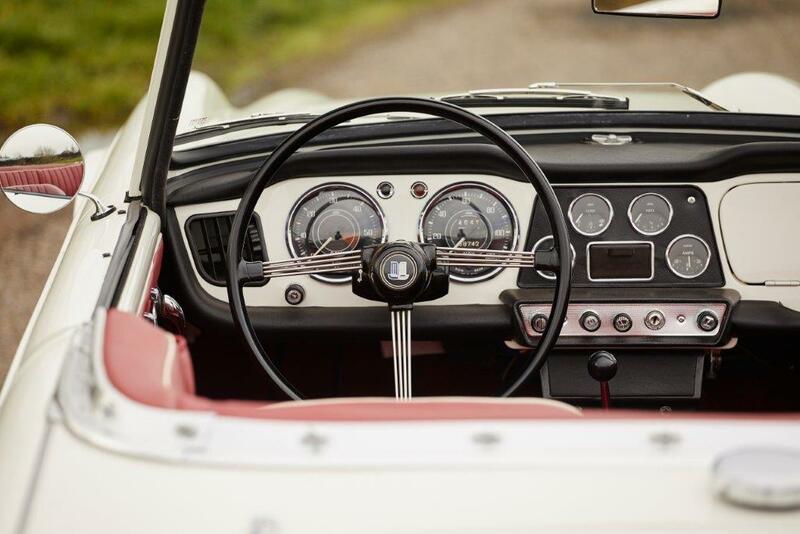 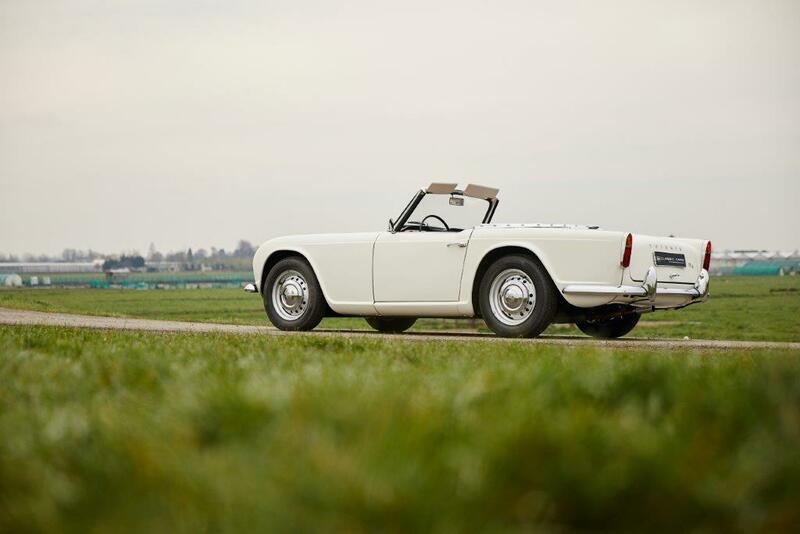 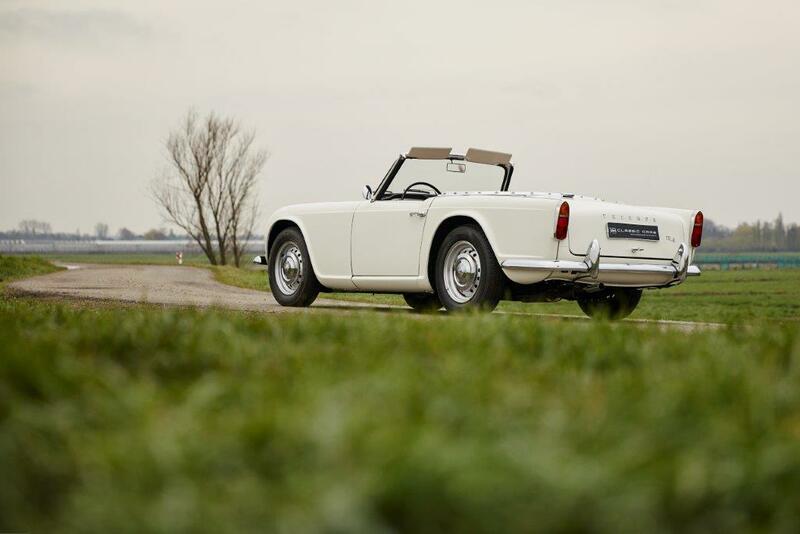 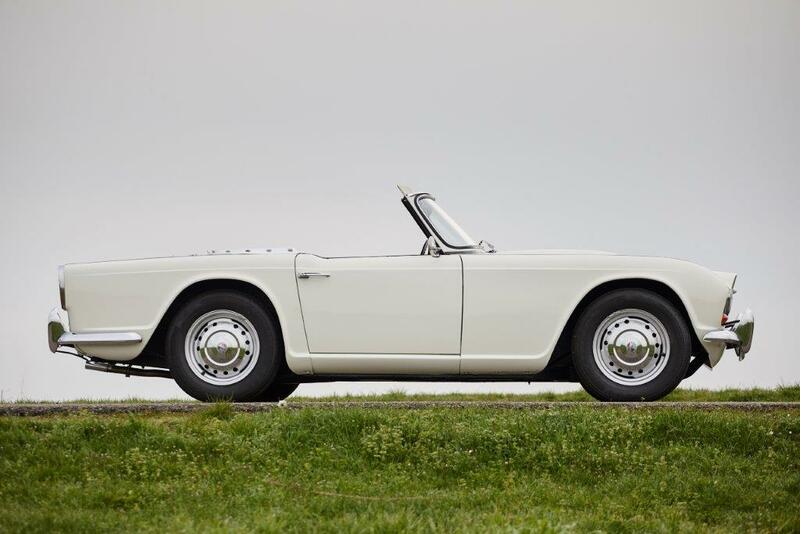 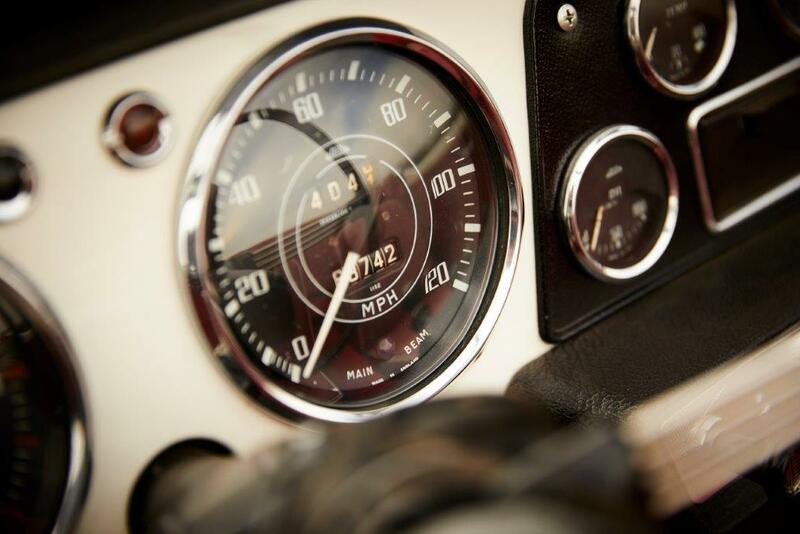 For sale is now a 1964 Triumph TR4 sports car. 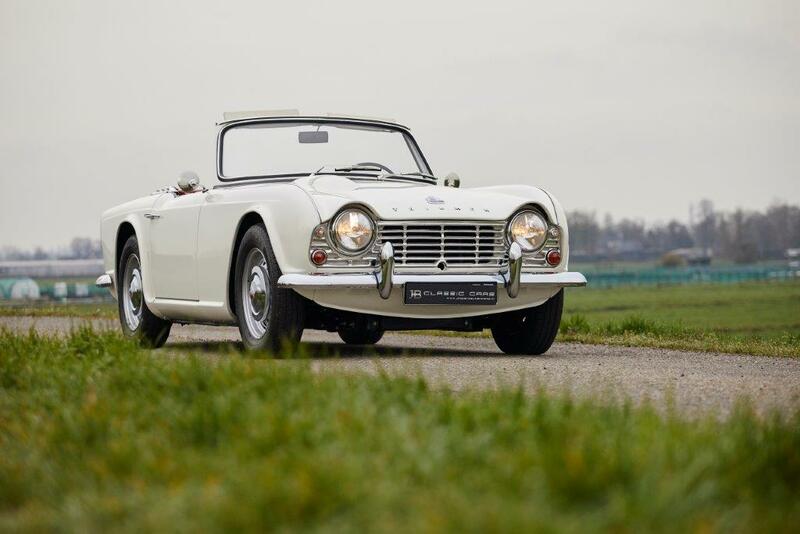 If you are looking for a reliable and affordable sports car, this TR4 is certainly a good choice. 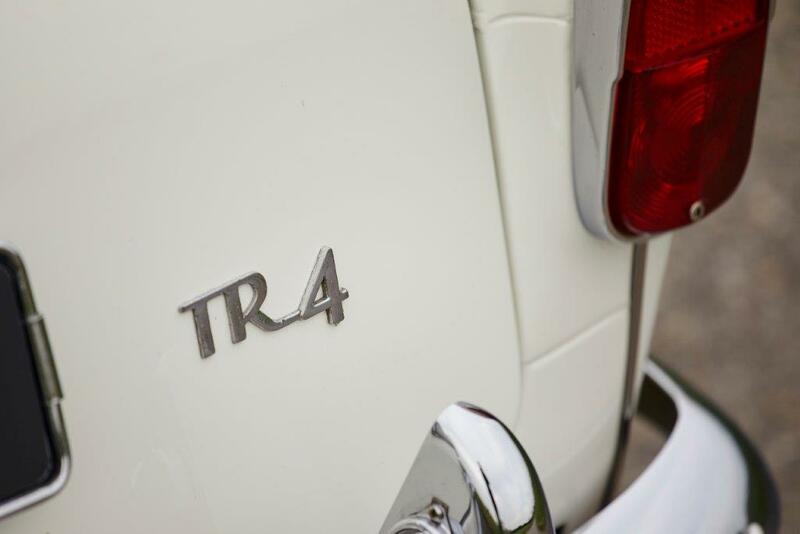 It still has the stylish classic look of the early legendary TR-models, but is definitely better equipped than its predecessors like the TR3 or TR3A. 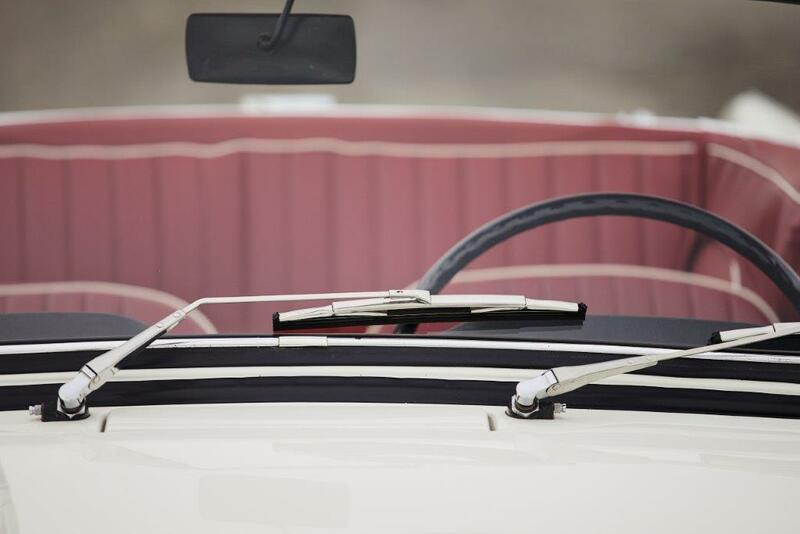 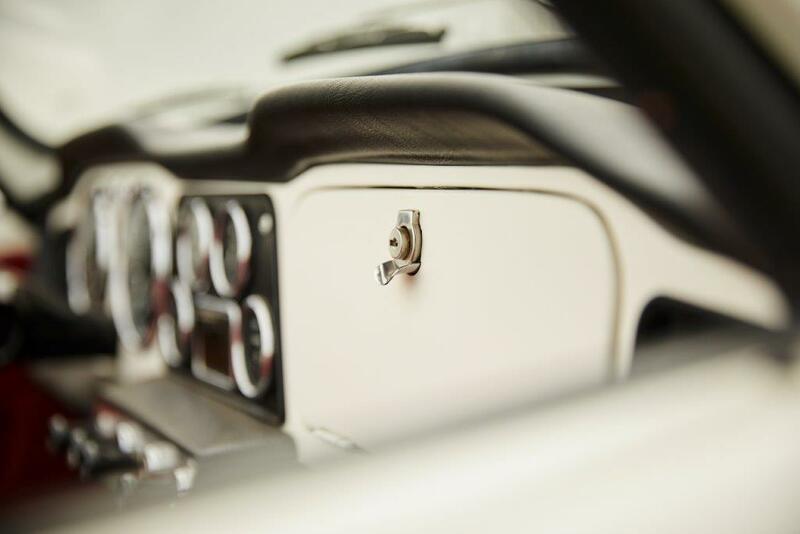 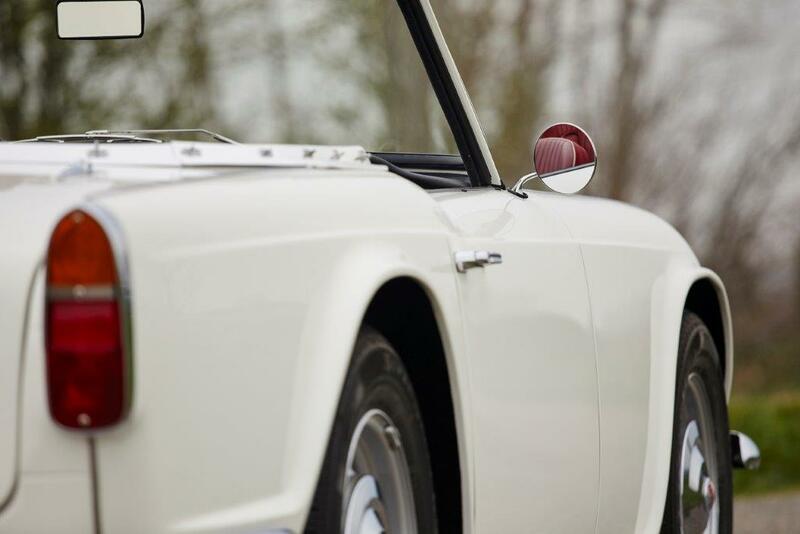 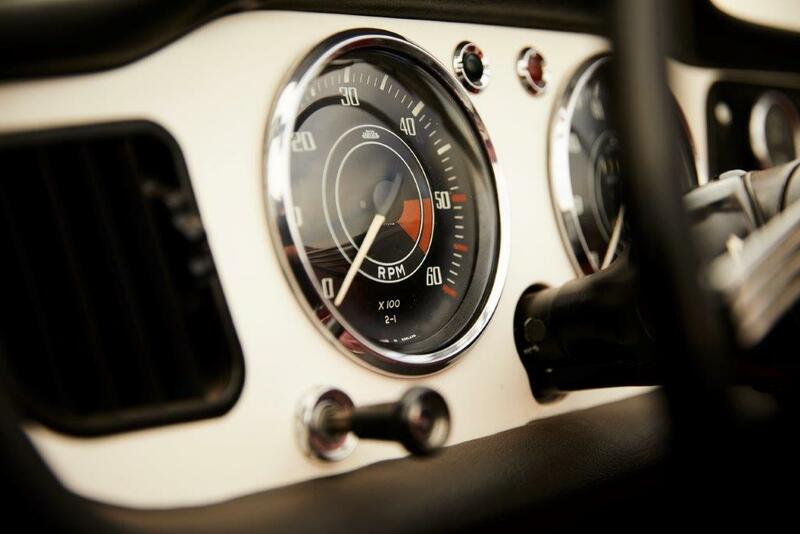 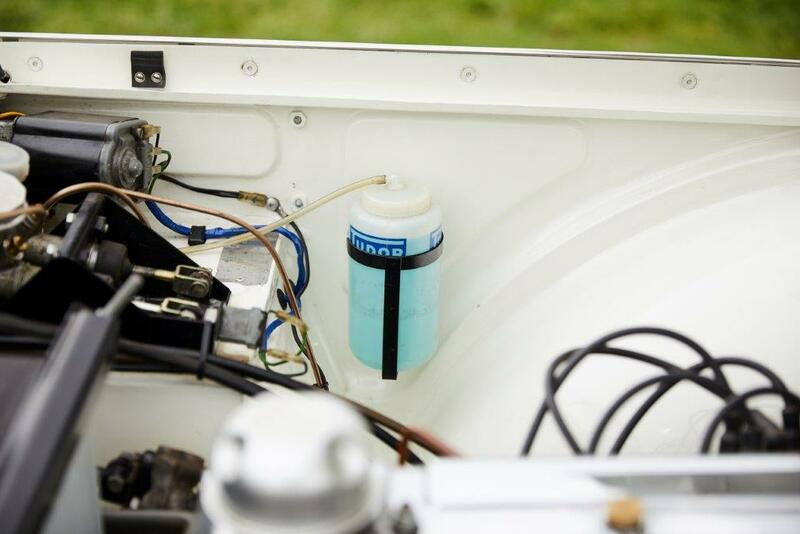 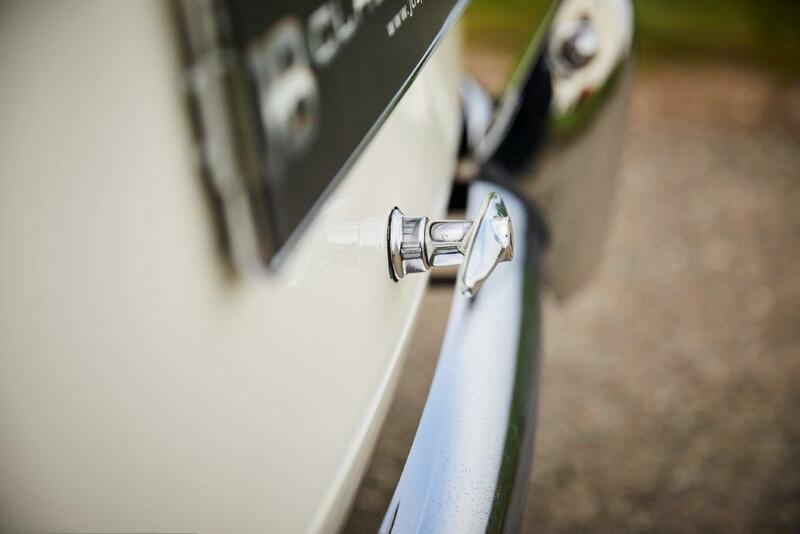 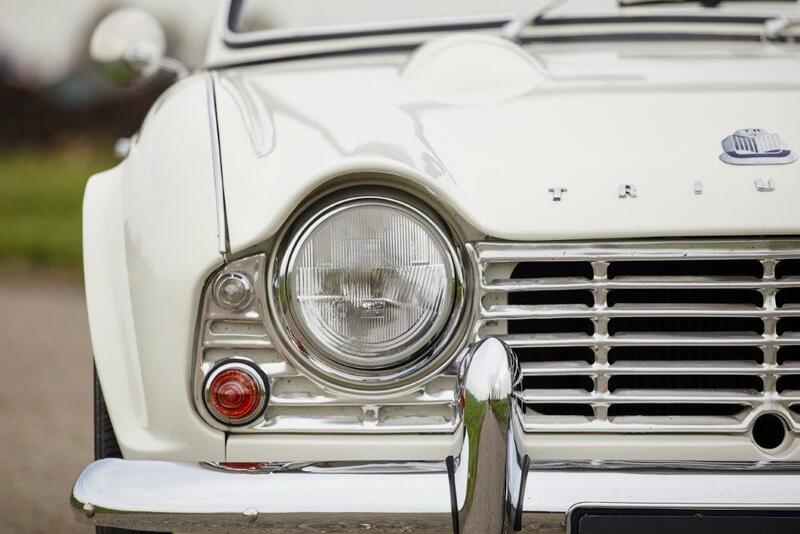 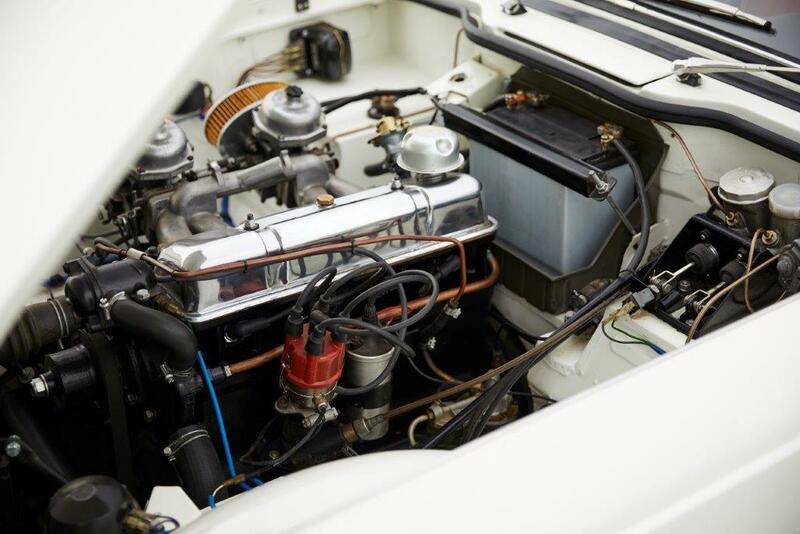 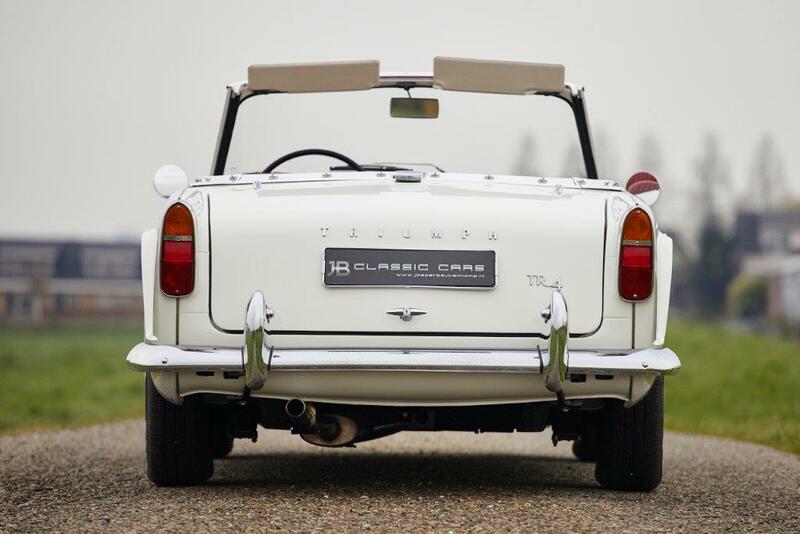 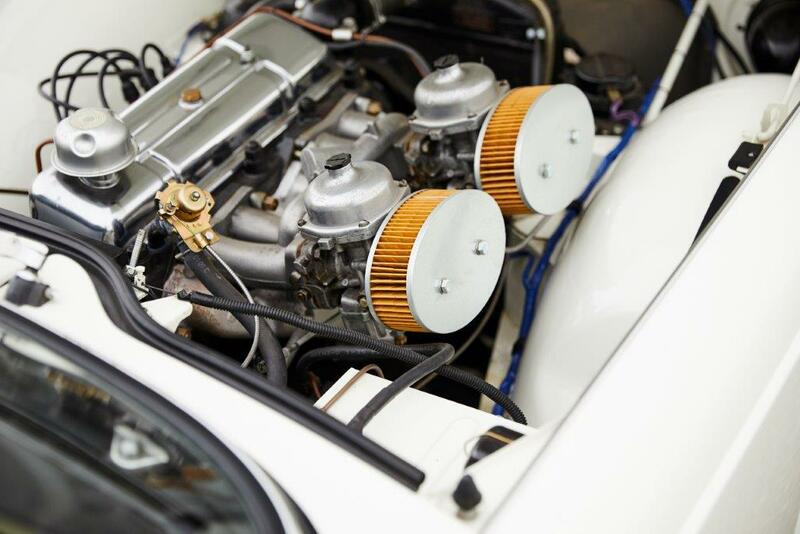 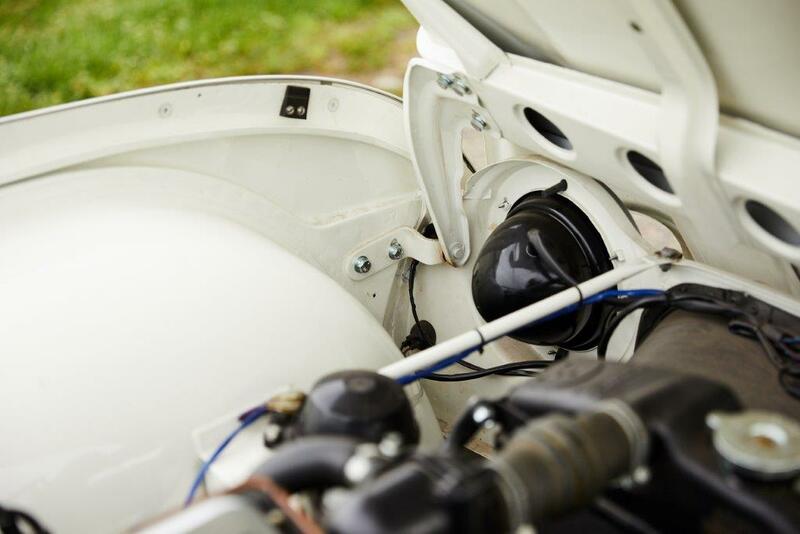 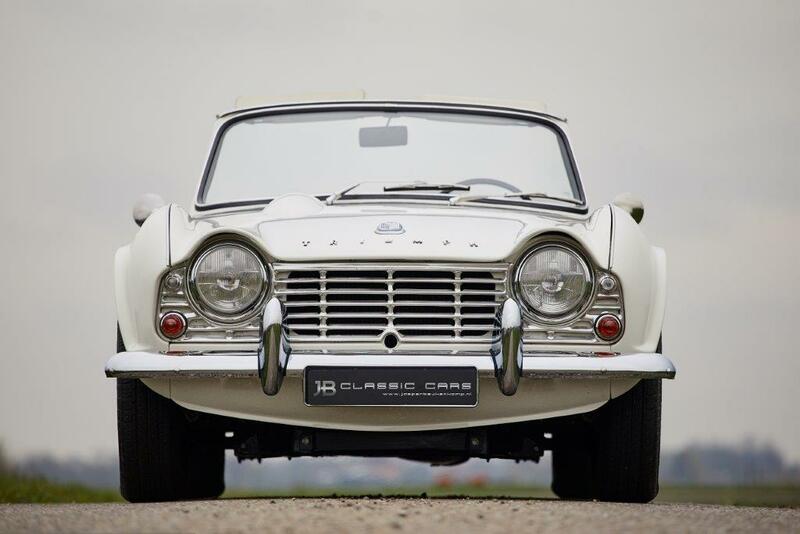 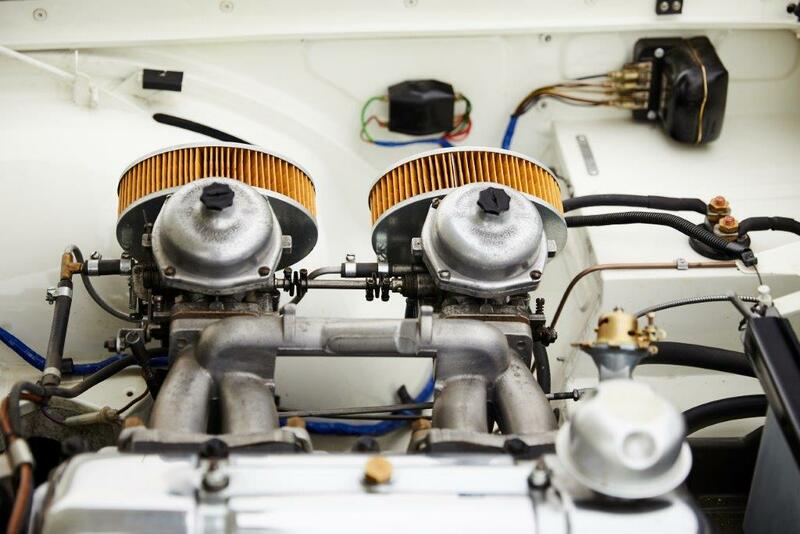 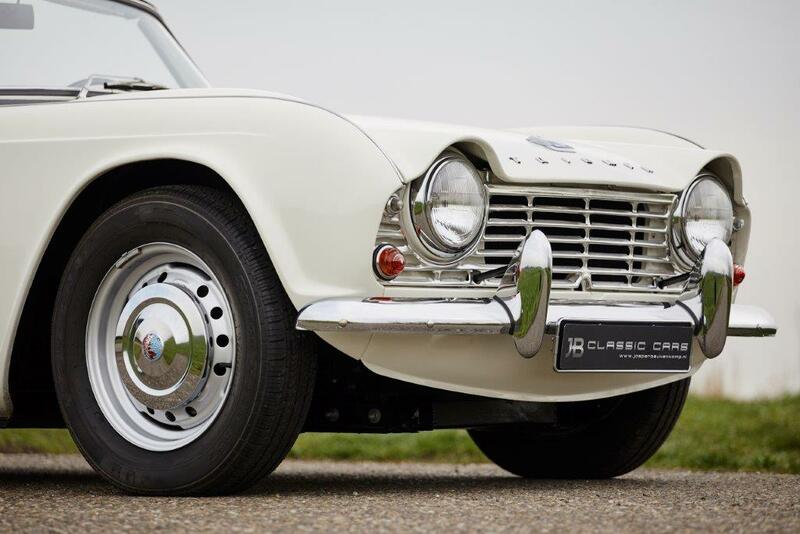 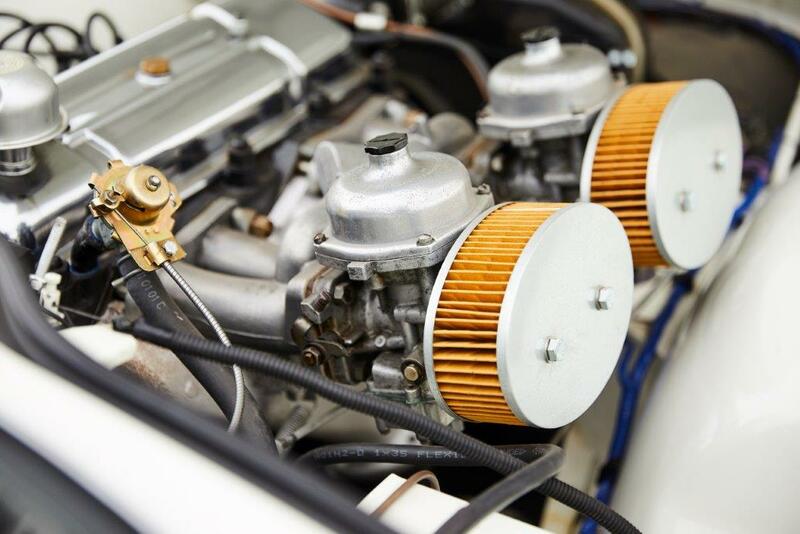 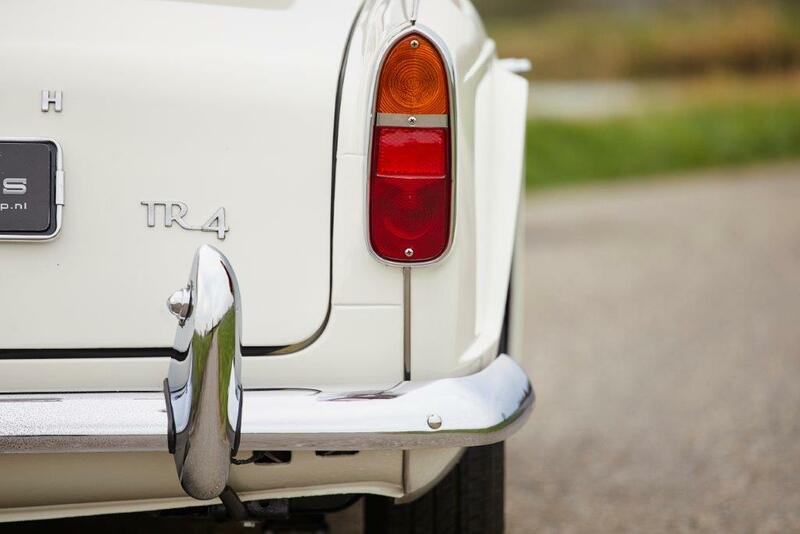 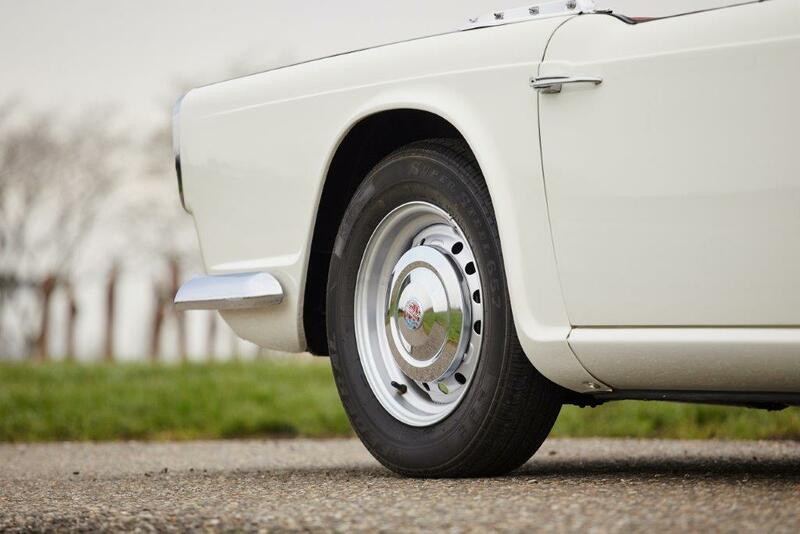 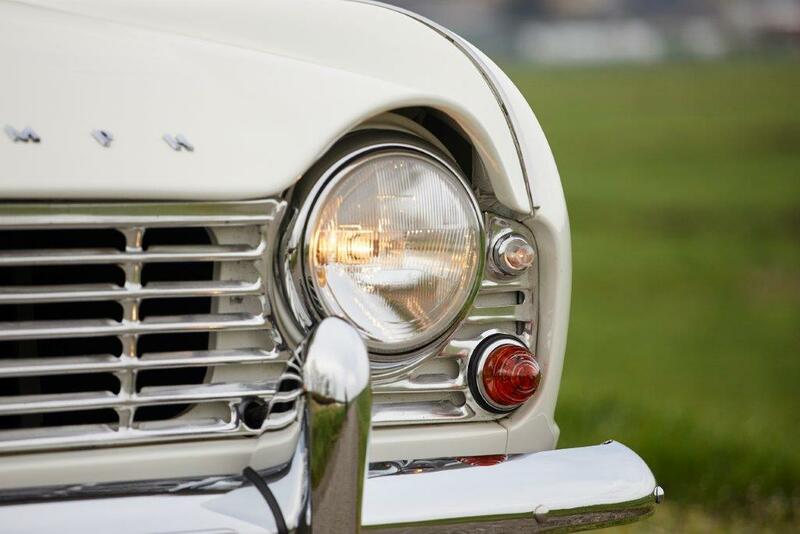 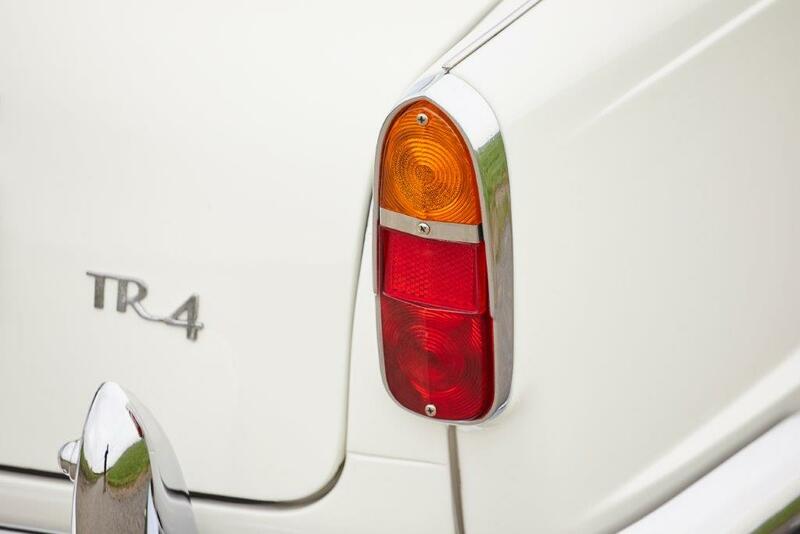 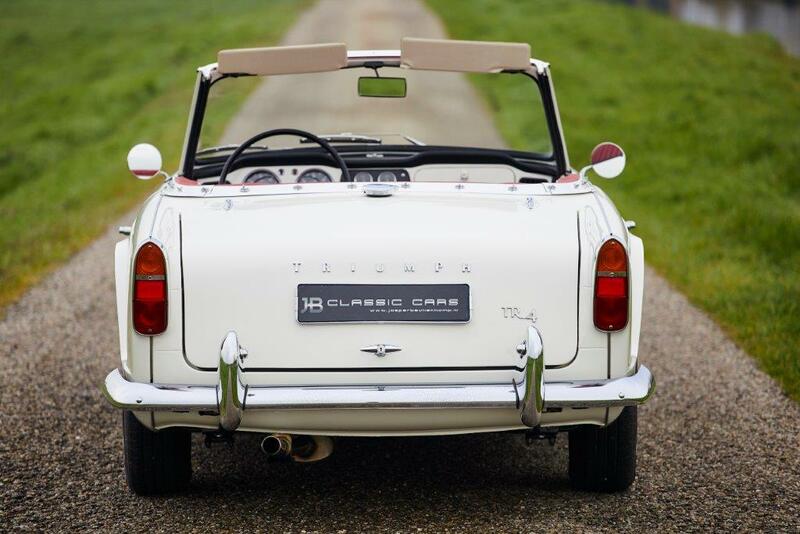 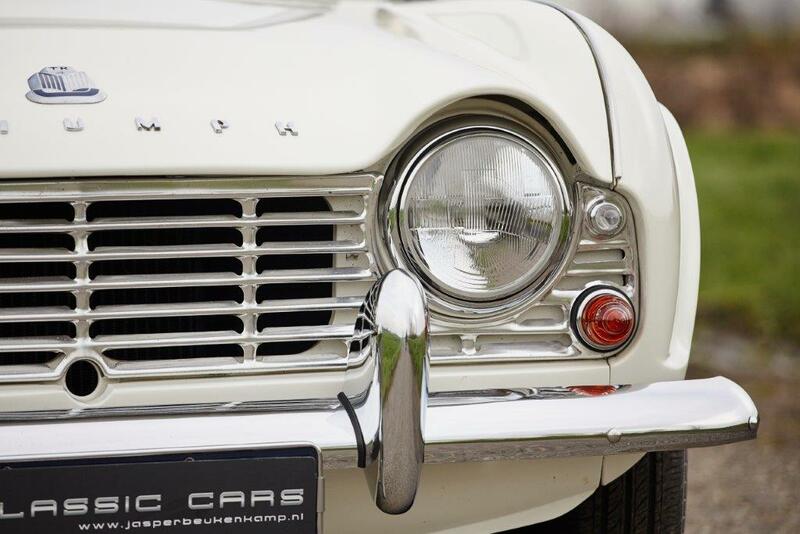 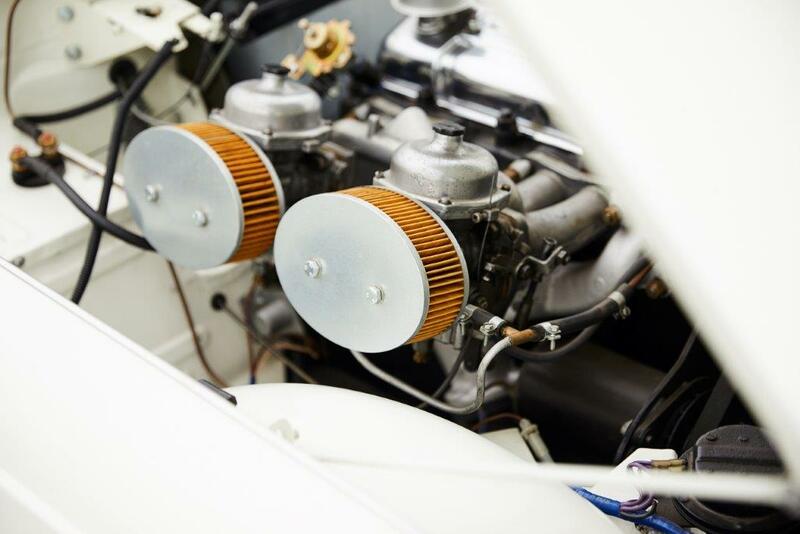 The ‘White’ Tr4 comes with painted steel wheels and is equipped with a stainless steel exhaust and 123 ignition. 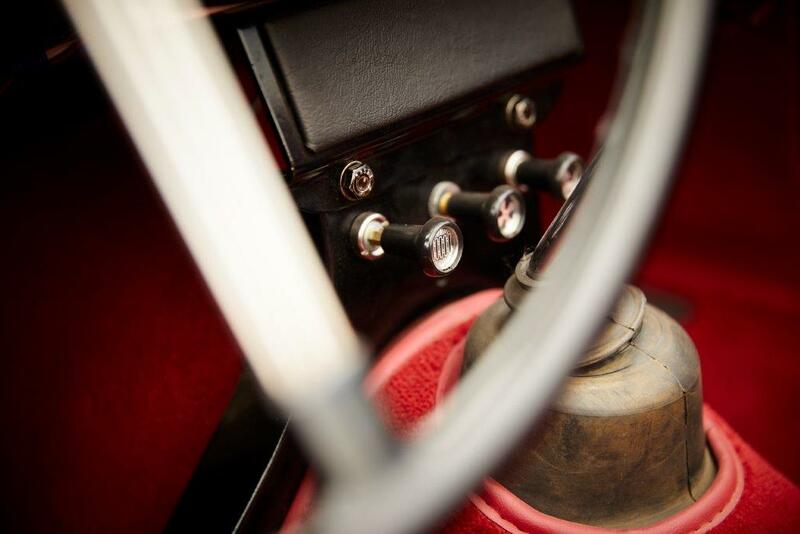 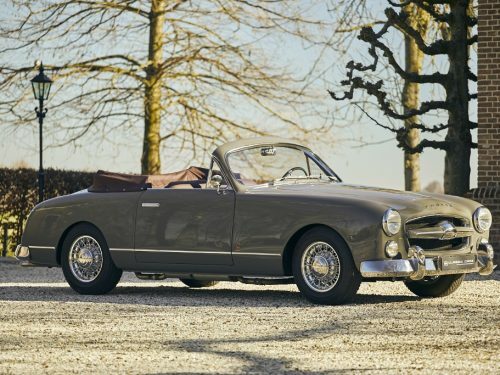 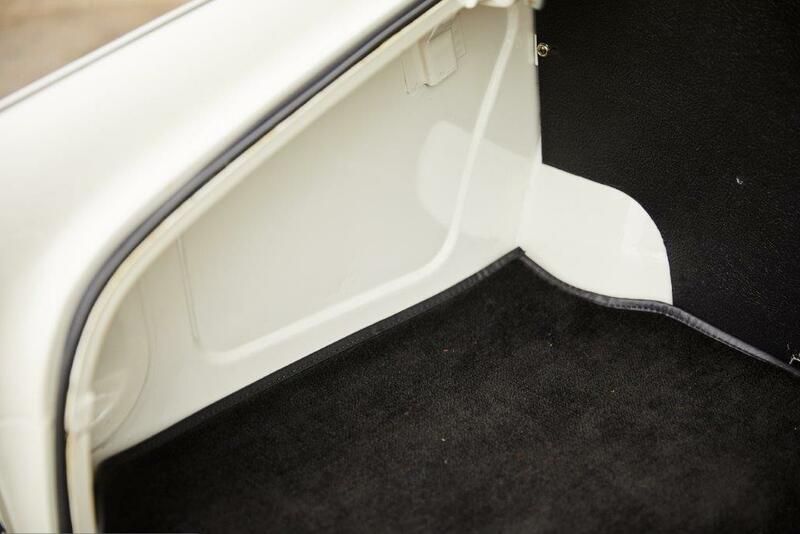 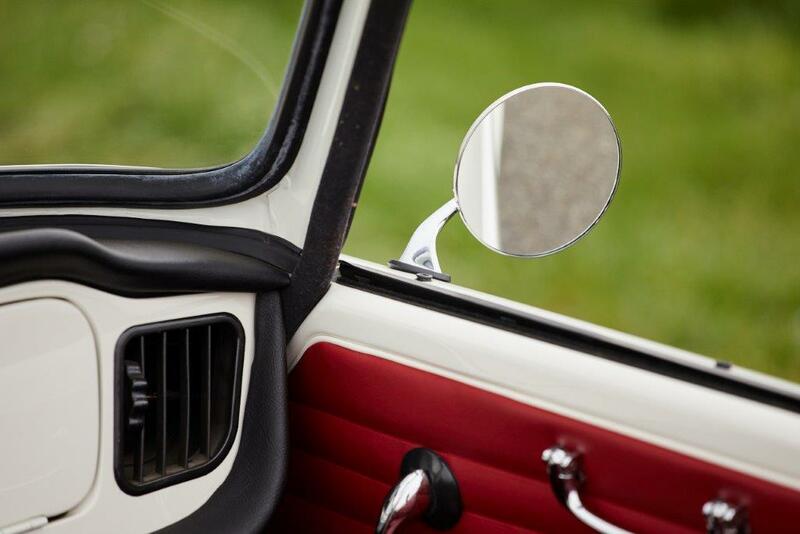 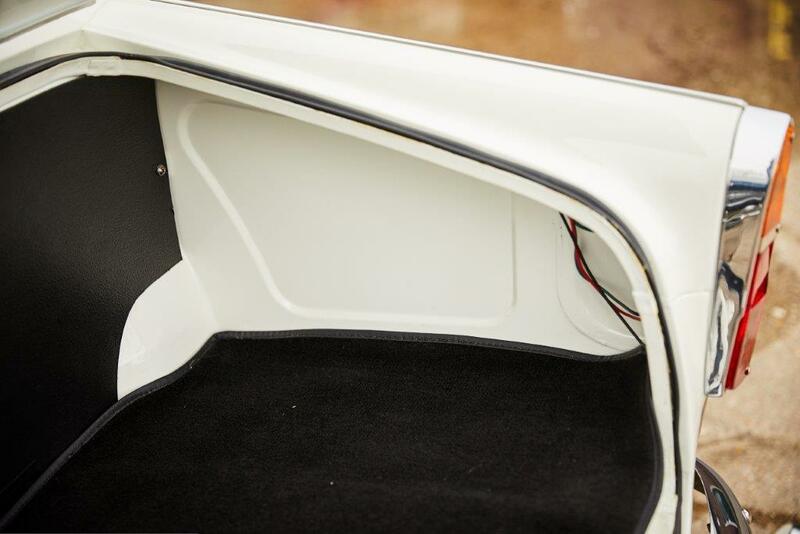 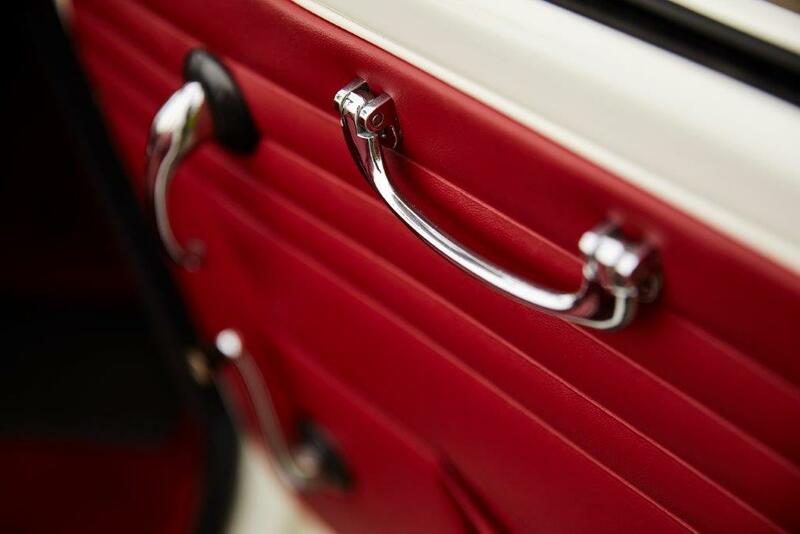 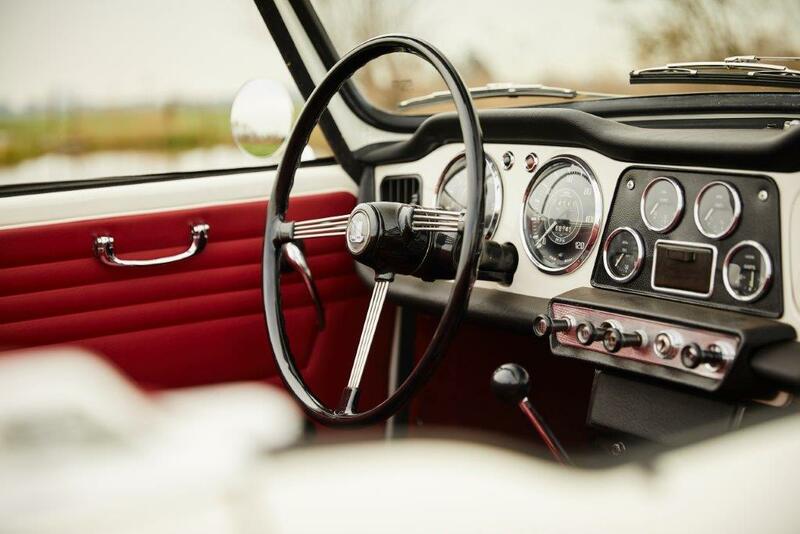 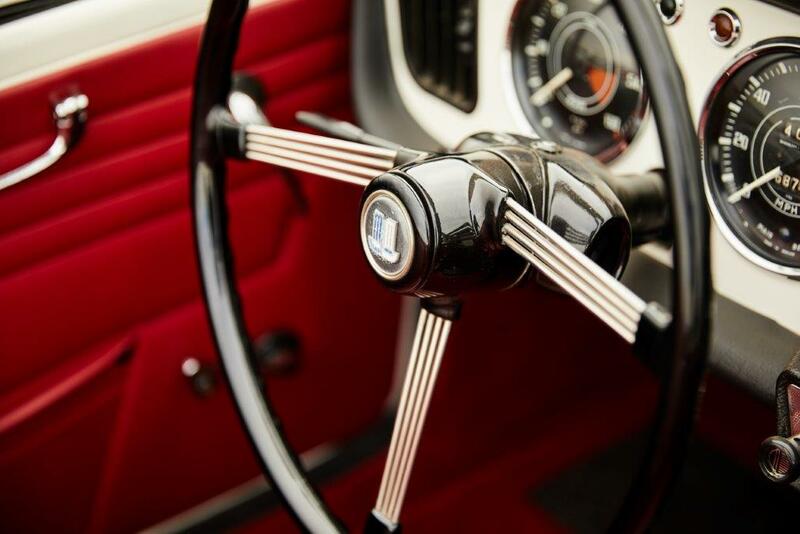 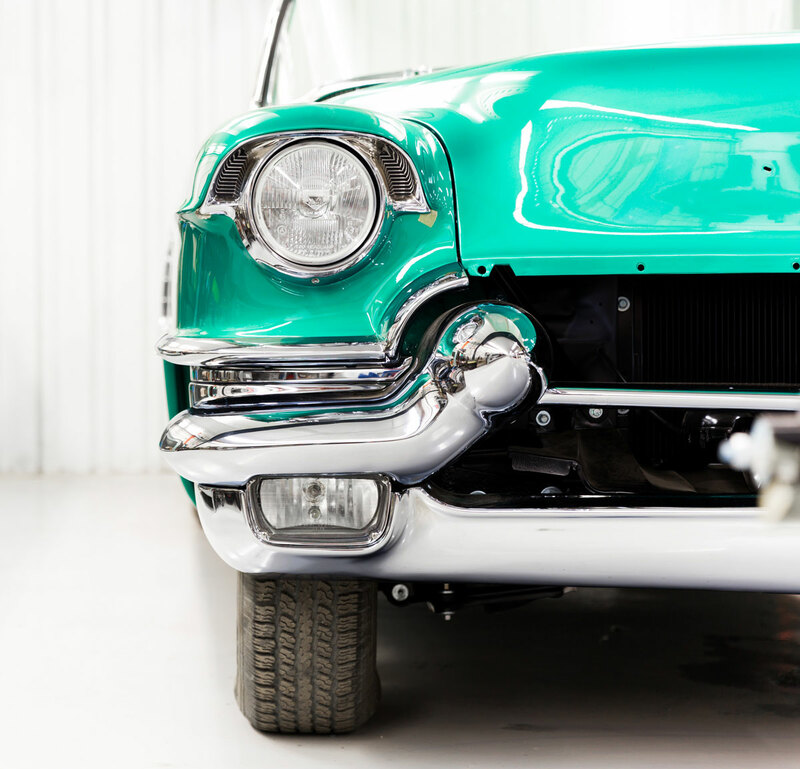 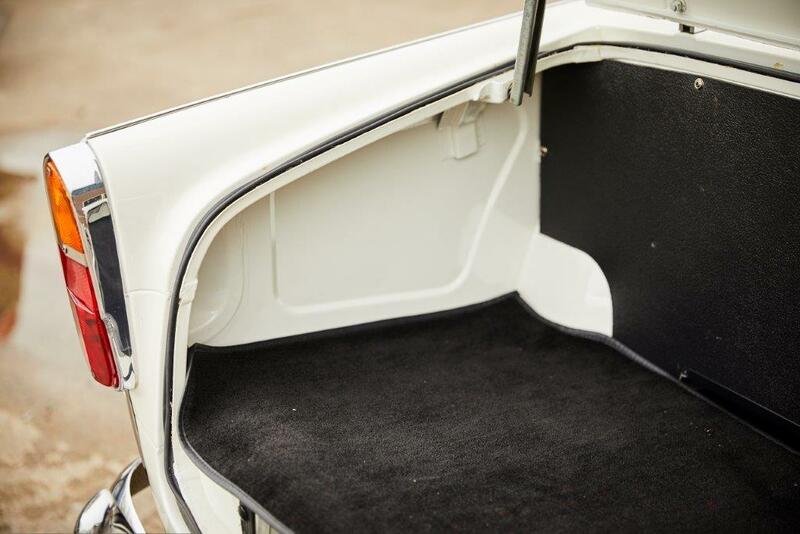 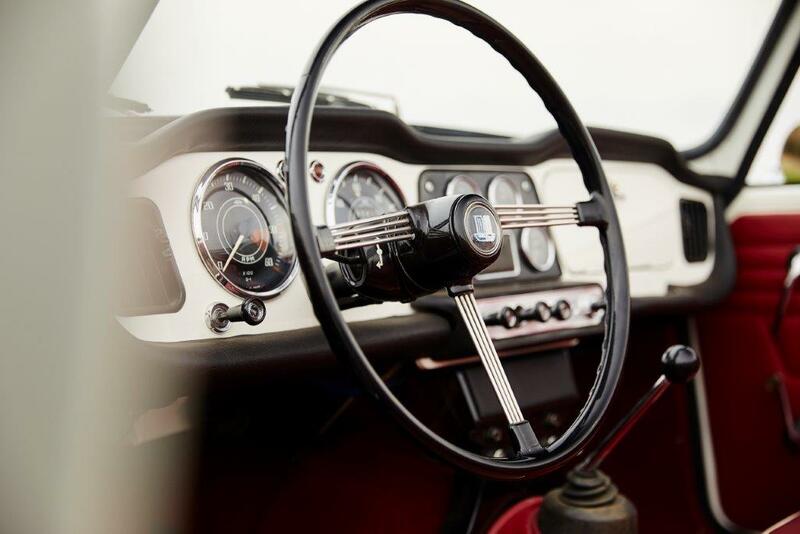 The car is recently completely restored to its current condition. 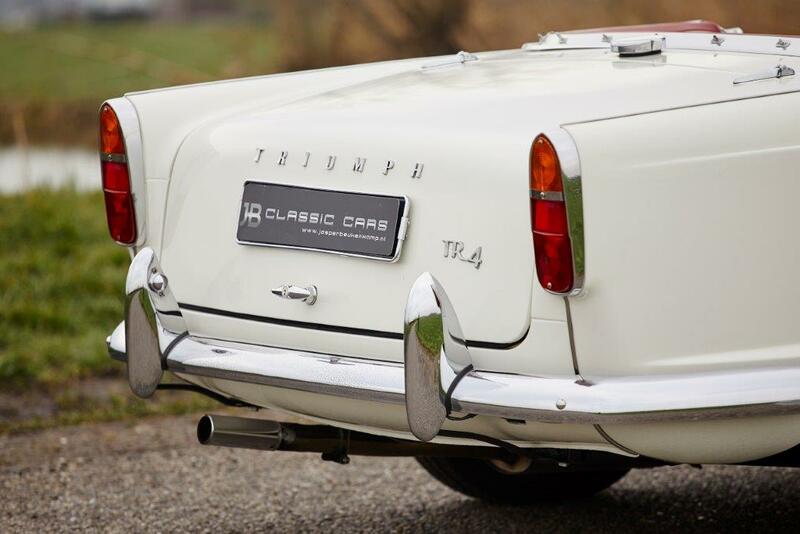 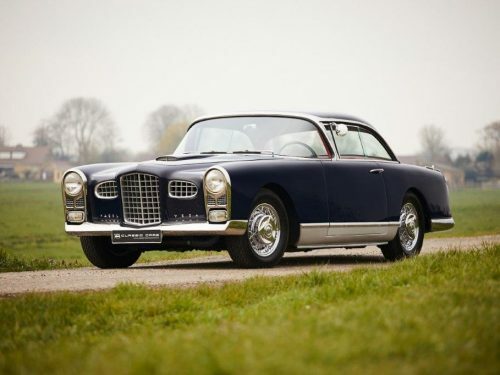 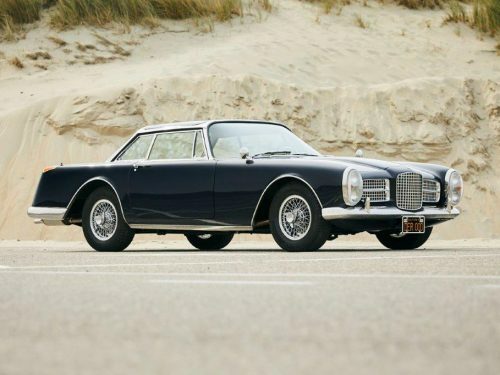 Original delivered in the U.S.A in December 1964, and in March 2000 exported to the Netherlands where the restoration began. 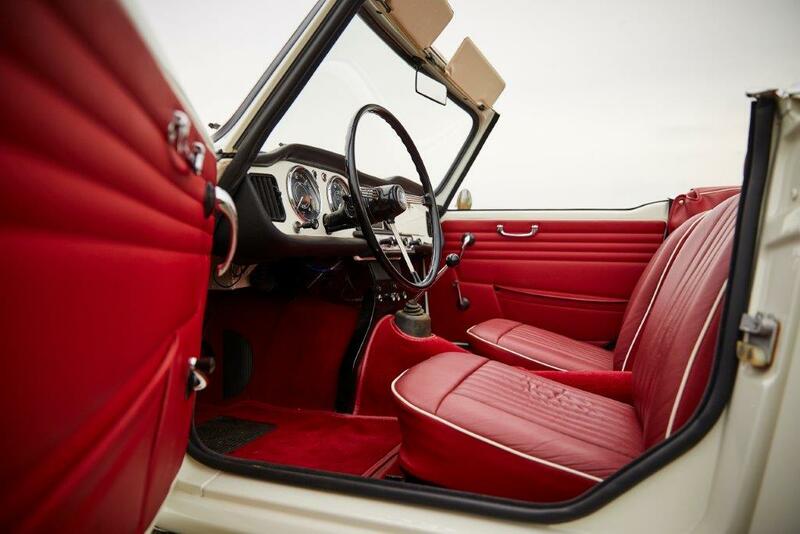 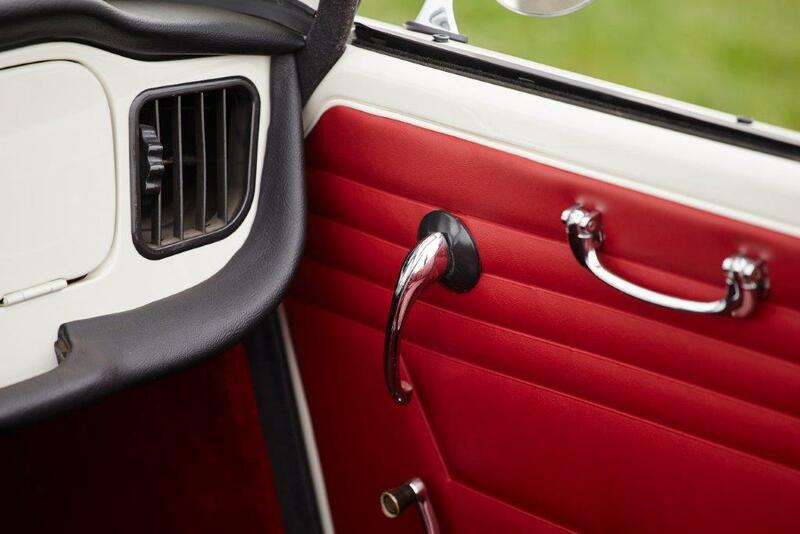 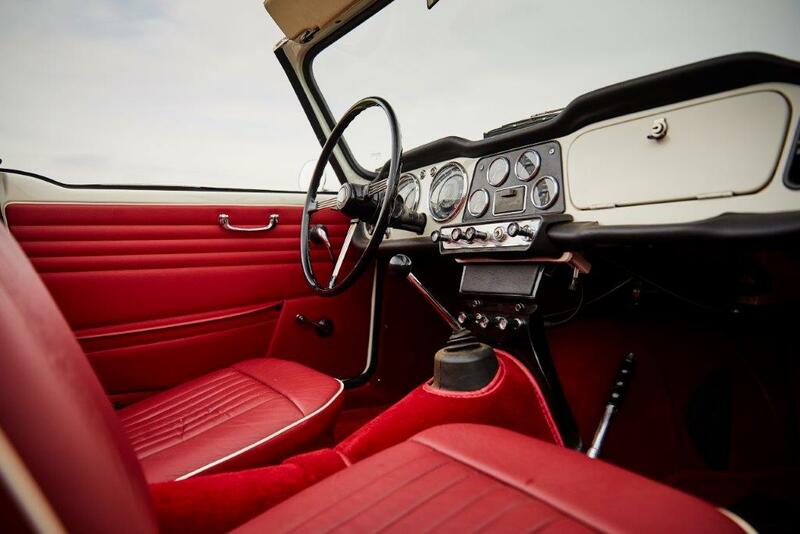 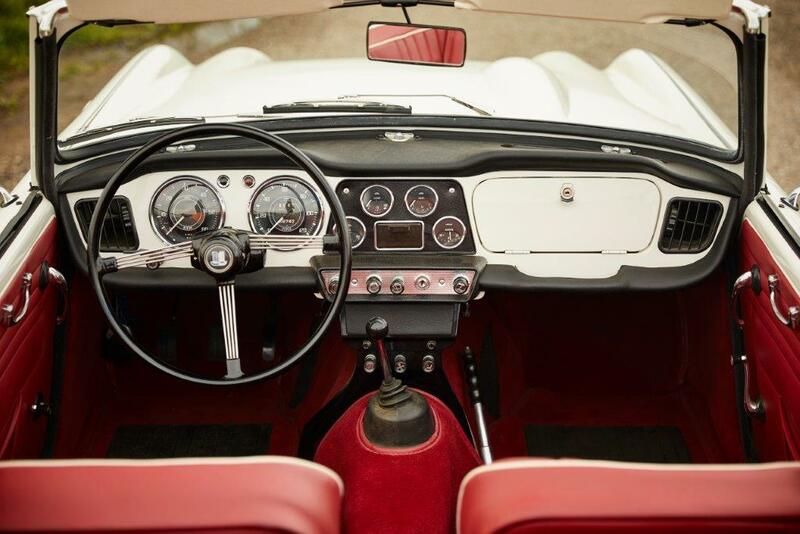 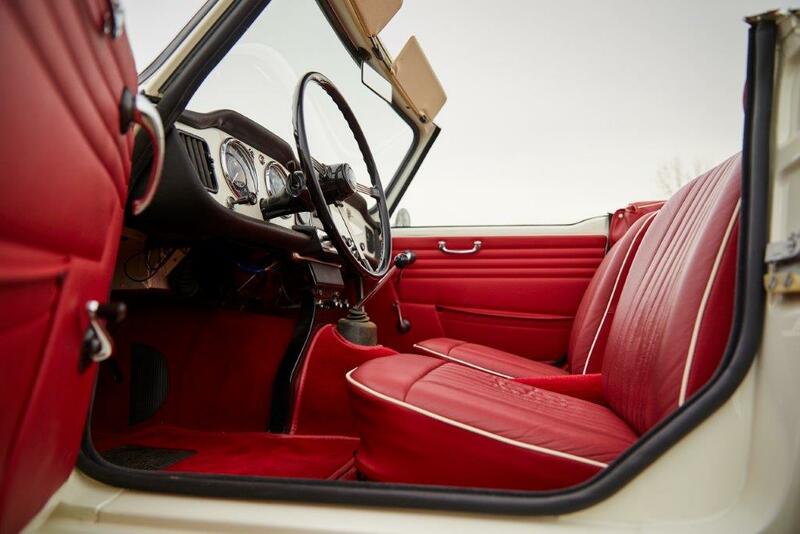 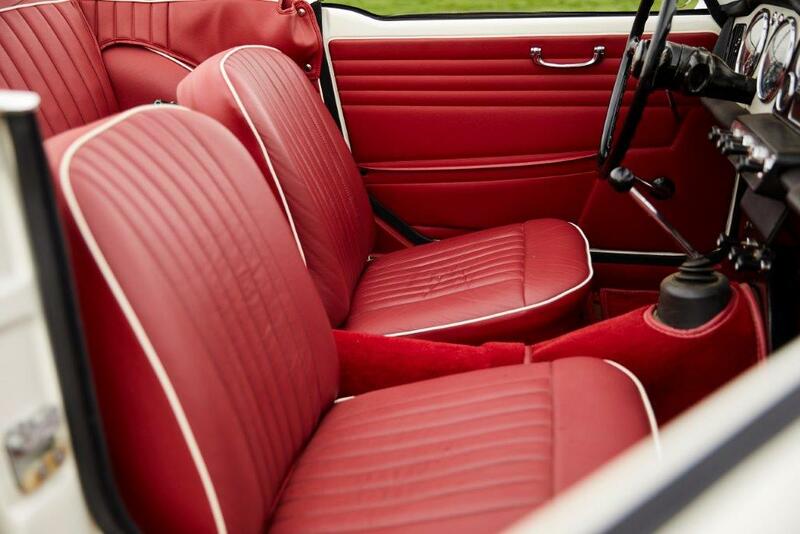 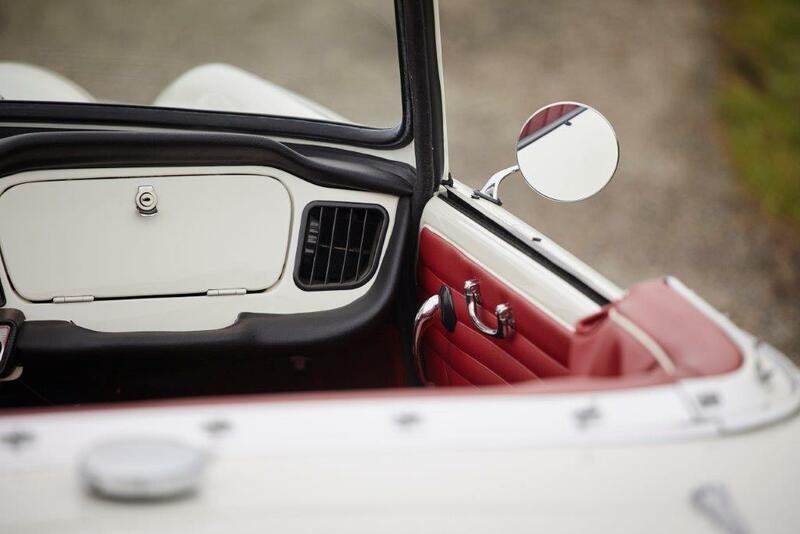 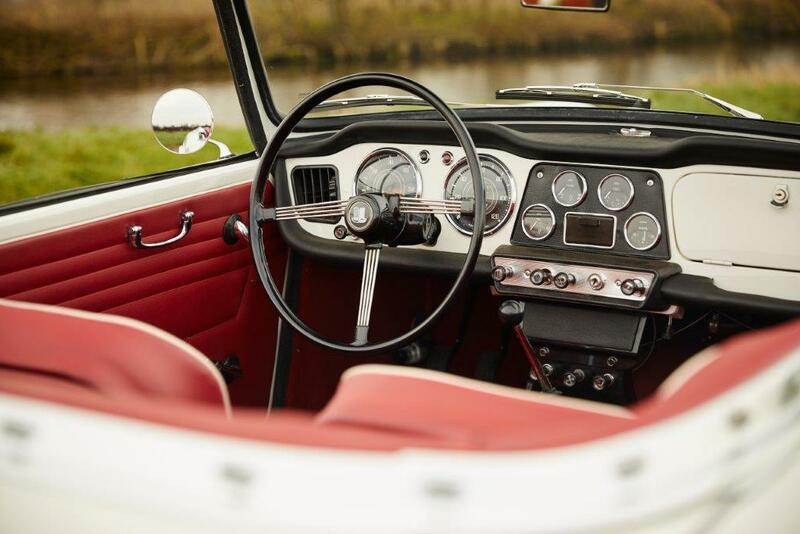 The car is brought back in its original colour how it left the factory 50 years ago, “White” with a “Matador Red” interior.